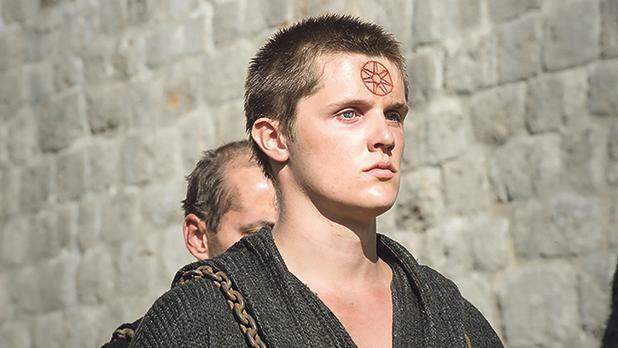 Eugene Simon as Brother Lancel in Game of Thrones. Game of Thrones star Eugene Simon is conducting two acting workshops in Malta this weekend. He tells Stephanie Fsadni about his connection to the island, his experiences on set and what it takes to be an actor in the 21st century. He views acting as a kind of religion and believes one should be devoted to serving a story. This is the credo of British actor Eugene Simon, best known among local audiences for his role in the award-winning HBO series Game of Thrones. The young actor, who has Maltese roots, is conducting a series of workshops for the Teatru Manoel Youth Theatre (TMYT) members as part of the Toi Toi programme this weekend. Focusing on playwright Christopher Marlowe’s Dr Faustus, Simon will share his expertise and professional insights into what it takes to be an actor in the 21st century. “I was thrilled at the idea of running a workshop in Malta,” said Simon, who has previously led workshops in London and Los Angeles. Simon was indeed only a child when he started acting at the age of eight. “It all began when my mother used to drive me to school and we would listen to Roald Dahl’s Dirty Beasts cassettes. After not that long, I started to recite all the poems back to her,” he recounted. Now 26, Simon feels that acting “completes” him. “It motivates me to be part of something bigger than myself. I don’t think I am the first person to view acting as a kind of religion. Reading the text from a play or screenplay can be like reading scripture from a holy text. You believe in and envision things that can be more wondrous or dreadful than anything you’ve read before,” he said. His breakout role may be considered to be that of Jerome in the Nickelodeon show House of Anubis, which follows a group of English boarding school students trying to solve a mystery. He starred in other TV series, including My Dad’s the Prime Minister, Noah & Saskia, the mini-series Ben-Hur and, more recently, Genius, in which he plays Albert Einstein’s son Eduard. However, he gained worldwide fame thanks to his casting as the religious fanatic Lancel Lannister or Brother Lancel, who has a seven-pointed star carved into his forehead in Season 5 of Game of Thrones. “Game of Thrones taught me that no matter how big a production you are involved in as an actor, you always go in with wanting to serve the story and the part you’re playing in as meaningful a way as possible,” he said. These are some of the teachings Simon will impart to the those attending the TMYT workshops. “My job is to act as a kind of facilitator who asks questions and encourages the actors to have as much fun as they can with their role,” he claimed. He admits “it takes a lot” to be an actor in the 21st century. Back to his acting career, Simon’s future looks promising. An independent comedy feature called Kill Ben Lyk, in which he plays the title character, is currently showing in festivals and winning awards. He also stars in a 1920s Gothic ghost story titled The Lodgers, now available on Netflix. And later this year, he should be braving the jungles of Vietnam for a new role set during the Vietnam war. 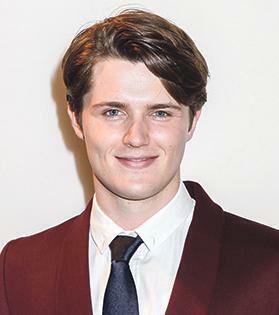 Eugene Simon will be leading acting workshops tomorrow and on Sunday at 10am at the Manoel Theatre’s studio theatre in Valletta. For more information, visitwww.teatrumanoel. com.mt. To follow the actor, look him up on Twitter at @eugene_simon or on Instagram at @eugenesnaps.